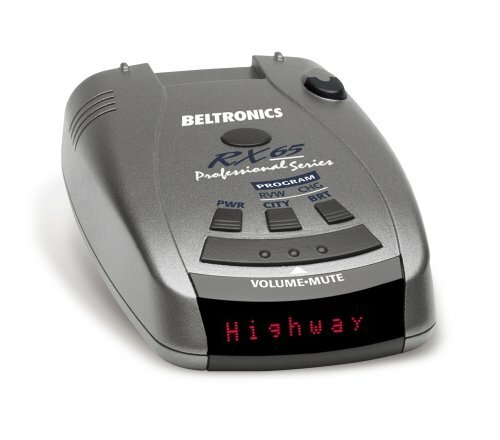 Groupon.com has Beltronics RX65 Red Professional Series Radar/Laser Detector on sale for $150. Shipping is free. Beltronics Pro RX65 radar/laser/safety detector provides ultra performance! This detector has it all. Digital technology provides ultra long-range detection. Features include text display, digital voice alerts, 7 selectable features, and custom travel case. It integrates with Laser Pro 905 for laser blocking. The RX65 includes full X, K, SuperWide Ka, and Safety Warning System radar capability, front and rear laser detection, Beltronics’ patented Mute and AutoMute, audible and visual band alerts, and all the performance you’d expect from Beltronics. Digital signal processing (DSP) gives you superior long-range ability, along with reduced false alarms. The AutoScan mode can virtually eliminate those false alarms, and provides both Highway and City settings. The RX65 also features Shadow Technology making it immune to VG-2 radar detector detection, meaning law enforcement can’t detect your radar detector, keeping you one step ahead. The rugged RX65 gives you control right at your fingertips using the included SmartPlug power cord. Patented Mute and AutoMute technology on the cord allows you to quickly silence alerts. Advanced programming lets you customize several features, and programmable bands let you set the device for your region, including International and North American settings. Installation is a snap: use the quick release mount to attach it to your vehicle’s windshield, and remove it in a snap. Don’t want to leave it in your vehicle? No problem, Beltronics includes a travel case to keep it secure while you’re on foot. Don’t miss a visual alert with the RX65’s 280-LED display. Exclusive threat display tracks and displays multiple radar signals, including signal strength. Tech Display provides actual numeric radar frequency for any radar signal. You can also view Safety Warning System (SWS) messages about upcoming hazards, construction and more. The RX65 is available in both red and blue LED models, so you can choose the display that most suits you. Safety Warning System, or SWS, uses a modified K-band radar signal to alert users of Highway Construction or Maintenance, Highway Hazard Zone Advisories, Weather Related Hazards, Travel Information/Convenience, and Fast/Slow Moving Vehicles. The SWS safety radar system has 64 possible messages (60 currently allocated), all of which can be displayed on your RX65. 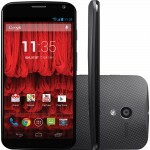 Groupon.com has Moto X (2013 model) Unlocked GSM LTE 4.7 inch at $249.99. The Moto X puts the Android smartphone experience in your hands, where it stays comfortably thanks to the ergonomic design’s slight curve. This gives the phone a more natural feel, thus reducing fatigue as you text, take pictures, and watch YouTube clips. The Moto X snags up to 4G LTE data for fast download speeds and seamlessly streamed content. A 1.7GHz Snapdragon dual-core processor keeps apps running smoothly, letting you pull off multitasking such as posting to social media while listening to music. The Android Jelly Bean operating system is easy to navigate thanks to Google Now, a personal assistant that can set an alarm, call a friend, or update your calendar based on voice commands. The clean interface gives you fast access to apps downloaded from the Google Play store, which is stocked with hundreds of thousands of games, productivity tools, and other apps. The 10MP rear camera not only snaps share-worthy photos with features such as autofocus, but can also film in up to 1080p full HD, the same resolution found on many HDTVs. Back on the front, a 2MP camera is great for video chatting with friends or seeing if your eye color has changed. 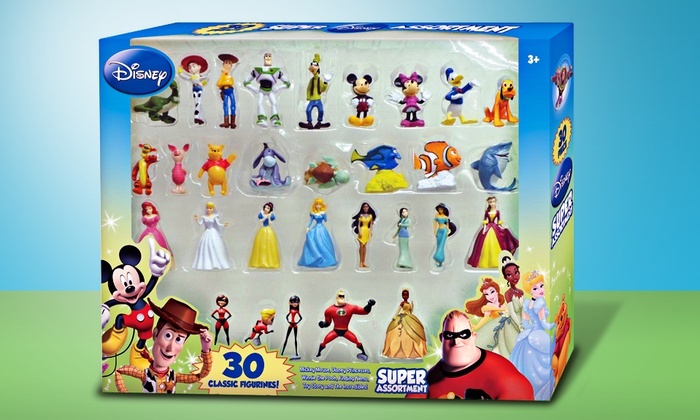 Groupon.com offers the Disney 30-Piece Collectible-Figurine Set for $19.99 plus $3.99 for shipping. What these figurines lack in stature they more than make up for in detail. Each piece brings a Disney character to life through an animated pose and colorful accents—from Piglet’s rosy nose to Ariel’s bright-red locks. The set includes characters from such recent movies as The Incredibles and The Princess and the Frog, and can be used for imaginative play, as a collector’s item, or to bring a whimsical quality to court scene reenactments. In the box: Mickey Mouse collection (Mickey Mouse, Minnie Mouse, Donald Duck, Goofy, and Pluto); Disney Princess collection (Mulan, Ariel, Jasmine, Sleeping Beauty, Snow White, Belle, Pocahontas, Cinderella, and Tiana); The Incredibles collection (Violet, Mr. Incredible, Dash, and Mrs. Incredible); Toy Story collection (Woody, Buzz Lightyear, Jessie, and Rex); Finding Nemo collection (Nemo, Dory, Bruce, and Squirt); Winnie the Pooh collection (Pooh, Tigger, Eeyore, and Piglet). 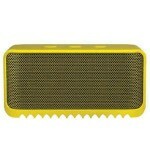 Groupon.com has Jabra Solemate Mini Wireless Bluetooth Portable Speaker w/ Mic (black, yellow or red) on sale for $39.99. Shipping is Free. Despite being about the size of a brick, Jabra’s Solemate Mini produces space-filling sound with two powerful front-facing speakers. A built-in microphone lets you take hands-free calls when connected to a smartphone. The Solemate Mini’s rubber-coated body resists sweat, dust, and even the occasional splash, making the speaker great for outdoor spots, such as pools and campsites. The treaded sole enhances stability and minimizes vibrations that might otherwise distort the sound. Voice guidance simplifies pairing with a Bluetooth-enabled device. Smartphones and tablets with near-field communication (NFC) sync with the Solemate Mini simply by being close to it. If you prefer a wired connection, then use the integrated audio cable conveniently stashed on the bottom of the speaker. The built-in USB-rechargeable battery powers up to eight hours of music playback, keeping the energy upbeat while you hang out with friends or serve jury duty. Groupon.com has Wii Fit U with Balance Board + 2 Fit Meters on sale for $49.99. Shipping is free. Groupon.com is offering an Extra $10 off One Local Massage Deal with coupon code “MASSAGE10”. Groupon.com has Google Chromecast Wireless HDMI Streaming Dongle (Refurbished) on Sale for $25 – $10 w/ promotion code 10FORU or HAPPY10 = $15. Shipping is free. Groupon.com is offering 1-Year BJ’s Wholesale Club Rewards Membership + $50 In-Club Gift Card (In-Store Only) valid for New Members for $75. Limit 1 per person, may purchase 2 additional as gifts.